Di Giacomo & Somers L.L.C. The law firm Di Giacomo & Somers L.L.C., is proud to bring experience and dedication to their family law practice in Northfield, Illinois. For most people, divorce is a very difficult and emotional process, but it is also a chance to start over. Through thorough planning and experienced guidance, our attorneys will guide you through the divorce process and help you develop a plan for your future. Our attorneys have over 100 years of combined experience. They have a comprehensive understanding of real estate, stocks, investments, retirement and pension law, mental health issues as well as a strong understanding of custody and children’s issues. They also offer representation in complementary practice areas, including bankruptcy and estate planning. There are many ways to resolve your divorce. Litigation is the traditional method, whereby lawyers present the issues to the court to make a final determination. However, there are less invasive and more cost-effective options as well. Collaborative divorce is an alternative to litigation where both parties retain collaborative attorneys who are trained in mediation and collaborative law. The parties and their collaborative attorneys agree to resolve their issues in a peaceful and amicable way without going to court. Our law firm has one goal: to work in partnership with you to answer all of your questions and guide you through a fair resolution of the issues in your particular case. 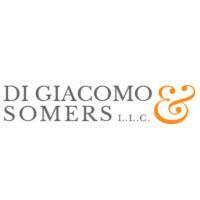 Di Giacomo & Somers will help you find the best solution to your particular situation. Whether that solution is found through litigation, collaborative law or mediation, we strive to help you come to the best possible outcome. If you are thinking of divorce or have some other family law matter that needs resolution, contact Di Giacomo & Somers L.L.C. Our attorneys want to help you through this difficult situation.